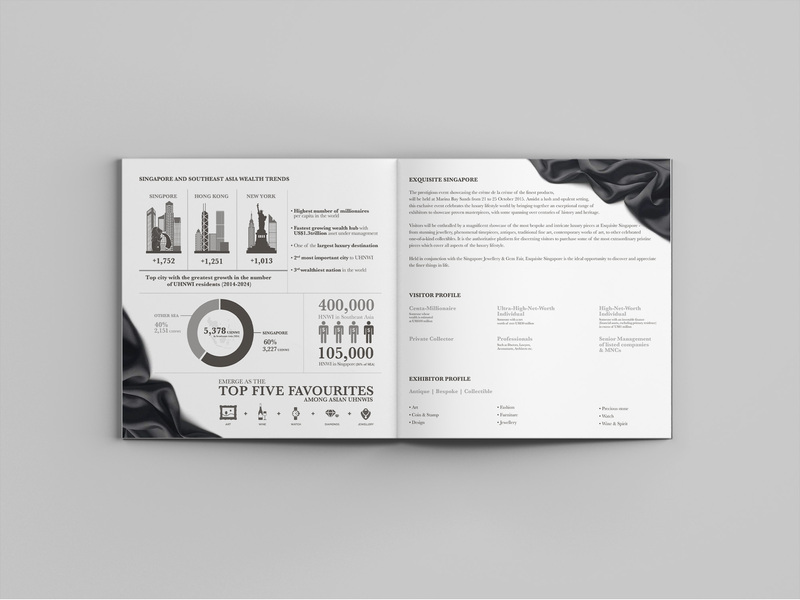 Developing of brandmark and event touchpoints for events organiser, UBM. 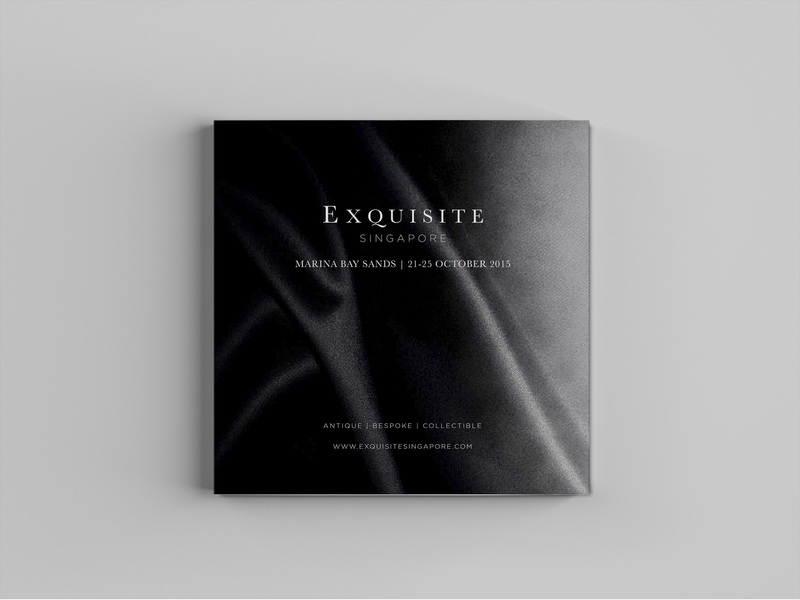 Exquisite Singapore is a prestigious event celebrating the luxury lifestyle world by bringing together an exceptional range of exhibitors, showcasing proven masterpieces, with some spanning over centuries of history and heritage. 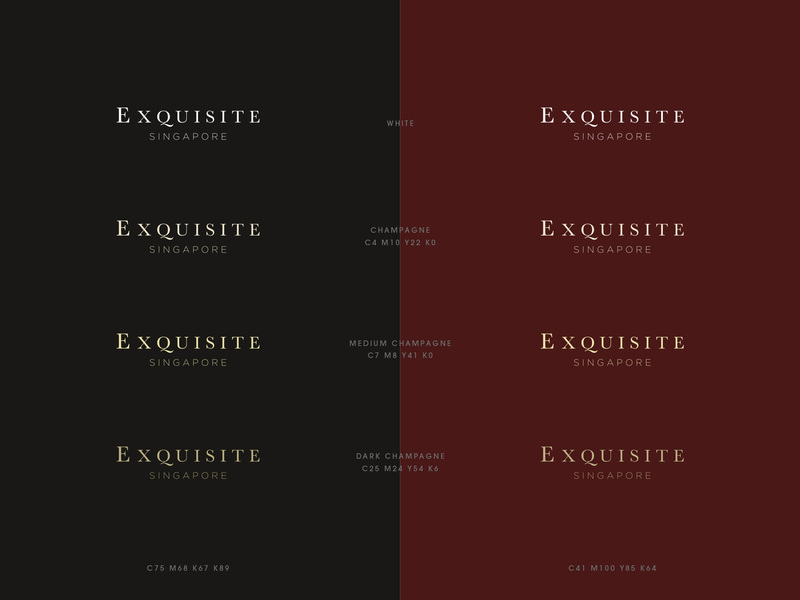 An authoritative platform for discerning visitors to purchase some of the most extraordinary pristine pieces. From stunning jewellery, phenomenal timepieces, antiques, traditional fine art, contemporary works of art, to one-of-a-kind collectibles.